Young children may be accidentally exposed to adult dose forms of medications, some of which can be fatal, even with a single dose. As numerous new medications have been introduced, we herein update a 2004 list of potentially toxic drugs that can be lethal for toddlers when taking one adult dose unit. We reviewed all medications available in North America and identified their reported fatal doses per kilogram in children, or in adults if no pediatric data were available. 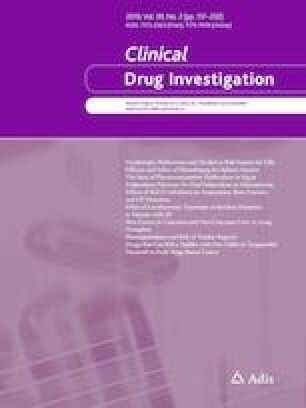 For each drug we identified the largest dose unit available on the market and calculated how many dose units would be fatal to a 10 kg toddler. Since 2004, the list of potentially fatal drugs for toddlers has doubled and now includes new anticoagulants, a phosphodiesterase-5 inhibitor, new antiepileptic drugs, antidiabetic medications, drugs for multiple sclerosis, and second-generation antipsychotic drugs, among others. With the development of potent new medications, an increasing number of drugs are dangerous upon accidental exposure to toddlers and young children. The present 2018 list of documented fatal drugs has doubled compared with 2004, and special labeling of these medications is urgently needed to avoid such calamities. No funding has been received for the conduct of this study. Gideon Koren and Ari Nachmani have no conflicts of interest to declare associated with this manuscript. Poisindex. http://www.micromedex.com/pharmaceutical. Accessed 12 Jun 2018. National Institutes of Health, US National Library of Medicine. TOXNET Toxicology Data Network. TOXLINE, a TOXNET database. https://toxnet.nlm.nih.gov/newtoxnet/toxline.htm. Accessed 12 Jun 2018. Compendium of Pharmaceuticals and Specialties. Ottawa, ON. Canadian Pharmacy Association; 1917. https://www.pharmacists.ca/products-services/compendium-of-pharmaceuticals-and-specialties/. Accessed 1 Oct 2018. Physician Desk Reference. Amazon Inc. https://www.amazon.com/2017-Physicians-Desk-Reference-71st/dp/156363838X. Accessed 1 Oct 2018.